Did you know there’s actually a photo of me in that header graphic? I think a couple of readers might have guessed it because my crazy egg shows people clicking on that plane photo up the top there. I’m going to show you a bigger version today – in essence a picture of me, but it’s from the back, and it would be very difficult to recognise me from it and there is two of us in the photo, so.. I am feeling ok about it.. The Red Wunala Dreaming was taxi-ing down to the take off point in front of us. 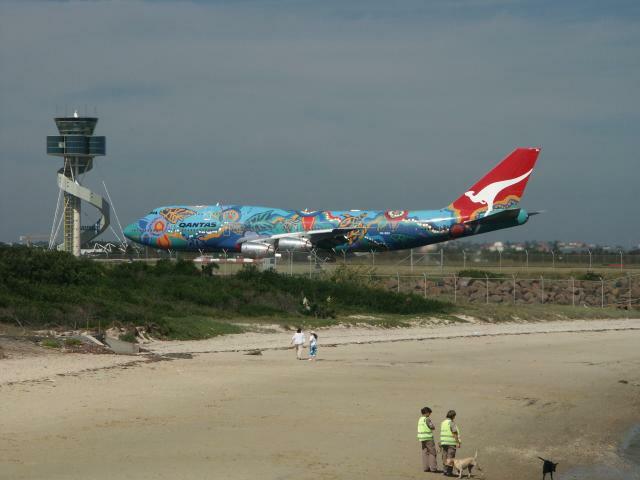 While we were there on the beach, the big specially painted blue Qantas plane known as Nalanji Dreaming landed. This was such a huge thrill for me and my friend, we had no idea it was going to happen and no idea the two planes would be in the same spot at once. Also, two of the Customs dogs were being taken for a walk and a swim at the end of their work day – they were beautiful and happy to be there. 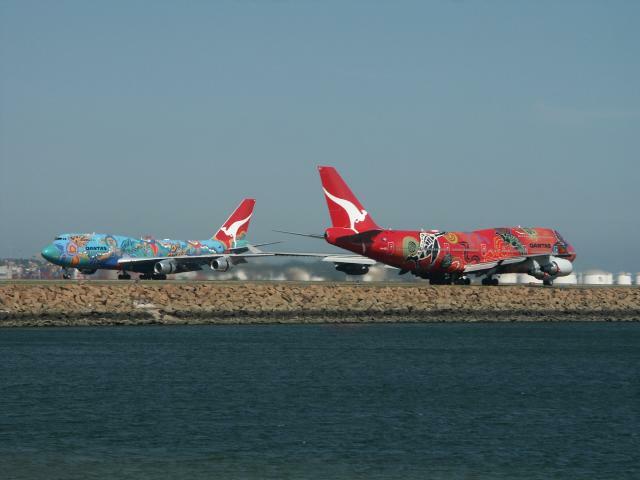 You can read more about the Qantas Flying Art here. 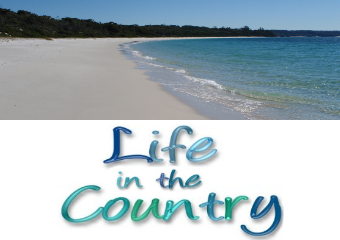 The Red plane is known as Wunala Dreaming and the Blue plane is known as Nalanji Dreaming. 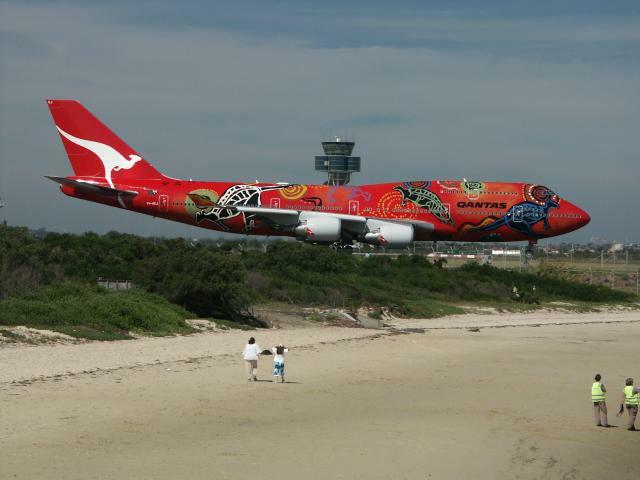 It is no easy feat to paint a 747 in a special color scheme like this. The result is incredibly moving when you see it in person. Like A Rat In A Trap..
← This Snoskred Update May Come To You As A Surprise. Wow! 2 beautiful 747’s at once, and so close! I get a thrill out of seeing the same old Virgin Atlantic 747 land and take off here 4 days a week, but I don’t get as close as you did. And that photo? Does not count. The marsupials, now that size would count. P.S. Took your advice and am transferring everything to Google reader now.